Traditional market research is often conducted through surveys, polls and focus groups. These techniques are proven, viable solutions for gaining new consumer data. While effective, these methods are often time consuming and costly. Within the social space, traditional research tactics can be applied in quick, scalable and cost-effective ways. Implement social data at your organization by solidifying what growth opportunities, consumer behaviors or questions you’d like to identify and solve. Collect informed analytics by having a clear understanding of what tools are available and what strategies tend to be most effective. Once you’ve determined your goals and desired outcomes, it’s important to ensure you have the right methodology and tools in place. There are three main types of social research tools available. Understanding the benefits and differences between each is important in creating your strategy, collecting social data and measuring results. Competitive analysis tools benchmark what competitors within a specific industry are doing based on how consumers are responding on social. Social media analytics tools use a business’ own proprietary data to analyze how its social accounts are performing and what its audience is doing. Social listening tools allow an organization to gather data and survey public conversations happening on social media at scale. Test popular tools within each category to determine which best fits your needs, budget and timeframe. A study by KPMG International on collecting actionable data and analytics revealed that 26% of companies struggle to identify what data to collect. The same study said that 42% of organizations find it challenging to incorporate data technology into existing business models. Avoid these common roadblocks and ensure you’re measuring the right metrics by selecting the proper social research tools, outlining specific objectives and (most importantly) pulling key stakeholders in early. As you begin to strategize against your goals, consider the following use cases. Social is an accessible way for brands to engage consumers in new product launches. Boeing implemented this tactic by holding a contest to name the company’s 787 Dreamliner airplane. After holding countless internal workshops, the company decided to ask its customers for their input. Boeing launched newairplane.com and let brand enthusiasts vote between a shortlist of four options. The brand promoted the contest on its social channels. Nearly half a million entries from over 160 countries were received. Gary Wicks, the Senior Manager of Digital Strategy at Boeing Commercial Airplanes, spoke with SimpliFlying about the company’s campaign and how it helped shape the brand’s ongoing social strategy. Boeing capitalized off the success of its crowdsourcing website and continued to build momentum around the new airplane launch with exclusive digital and social content. 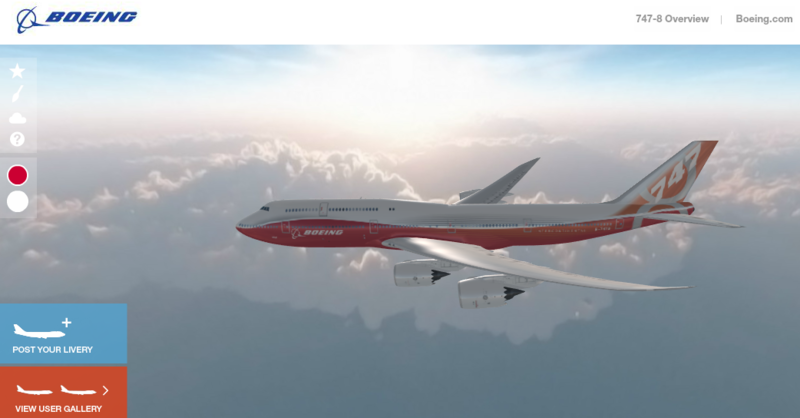 The company launched an online application that gave aviation and brand enthusiasts the chance to design their own 747-8 Livery. A worldwide #DreamTour of the new plane was also promoted on the brand’s Twitter. Through digital and social channels, Boeing received free and useful product feedback while growing its customer base. Social-ad spending is predicted to reach roughly $14 billion in 2018. As targeting improves, social provides brands with a relatively cost-effective way to test and learn at scale. Before introducing new creative or launching a costly advertising campaign, brands can turn to social for reactions to revised brand messaging. These real-time insights can include click-through data and specific information on what aspects of the campaign consumers are positively or negatively responding to. This can help a brand better understand its positioning and give marketing teams the chance to revise and improve a campaign before its official launch. Product updates and changes often evoke strong positive or negative feelings from consumers. Social listening allows a brand to monitor the long-term effects of a company and its product decisions. Analyzing the conversations surrounding new product developments can provide your business with actionable feedback. ConAgra Foods used social listening to reverse a misstep that affected its bottom line. In spring of 2013, in an effort to cut costs, the food company gradually discontinued easy-to-open pop-top lids from all of its Chef Boyardee canned pastas. One reason the brand’s core consumer enjoys canned pasta is that it’s convenient. Removing the pop-top lids required consumers to use a can opener, taking away the product’s ease. This small change made brand loyalists very unhappy, so they promptly took to social media to share these feelings. Consumer sentiments and sales were declining. Through social listening, ConAgra was able to identify its mistake and quickly addressed the problem. Within six months, pop-top lids were back on grocery store shelfs. To reintroduce pop-top lids, ConAgra launched an intricate social campaign. Before implementing the changes, the brand polled its social community and asked fans to choose the labeling for the comeback cans. When pop-top lids were back on shelves, a series of cheeky videos developed in partnership with Second City Communications were shared on social to announce the comeback. Customers responded positively and were impressed that one of their favorite brands used the crisis as an opportunity to listen, acknowledge and react to their concerns. Searching and monitoring topics and keywords related to consumer challenges and industry trends can help your brand identify opportunities to develop new products and content. This is what L’Oréal did when the brand tapped into search and YouTube data to launch and support a new product. The beauty company noticed an increase in searches for “ombre hair color.” After watching user-generated videos to better understand the trend and its consumers’ needs, L’Oréal identified how it could join the conversation. The beauty brand launched an at home, ombre hair-coloring kit and supported its product launch with consumer-focused content that addressed the target’s common questions and needs. Since over 50% of consumers who purchased ombre hair-coloring products were new to the category, L’Oréal’s ombre kit and supplementary content drove a strong ROI for the brand. These are just a few of the ways that social data can help inform and support large and small business social media decisions. When paired with additional, cross-functional organizational efforts, social has the ability to impact your bottom line, increase brand loyalty and save your business time and money.